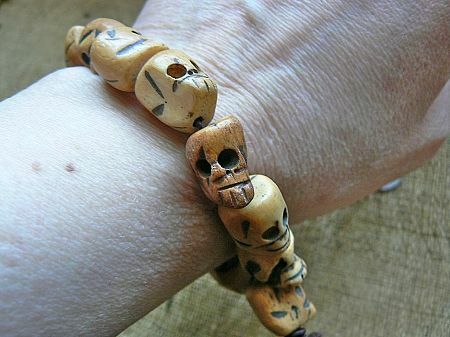 These handcarved bone skull bead malas are a large bracelet size (7 inches) and come on an elasticized band. 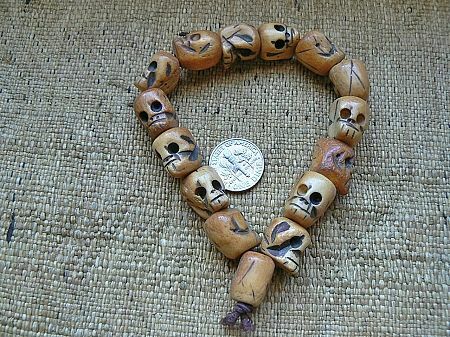 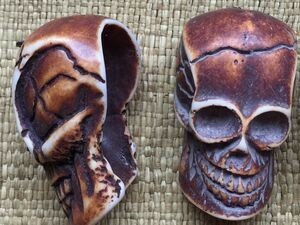 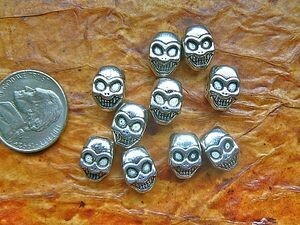 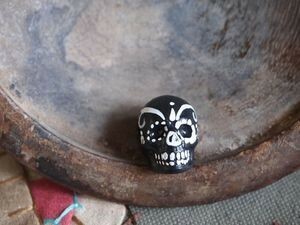 Bone skull beads are rustically carved. 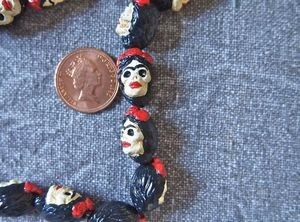 There are approximately 15 beads per bracelet. 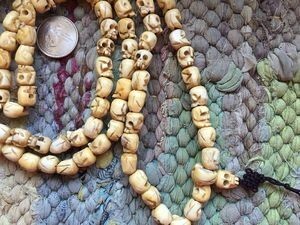 The beads measure approximately 10x12mm with a 2mm hole.